The footballer's backpack. Keep your match day kit in one place - including the ball. Features a zip..
For fans of Ireland and working out. Includes an internal drop pocket and rope carry and closure sys.. The perfect bag to take on game days. The Ireland x NB Medium Backpack offers more versatility. Feat.. The perfect bag to take on game days. 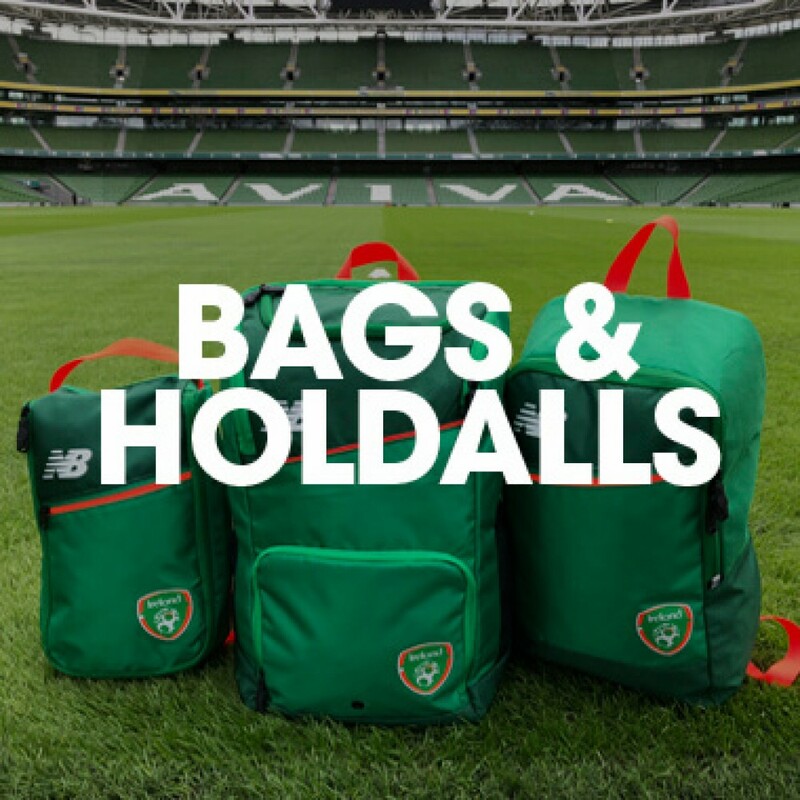 The Ireland x NB Medium Holdall offers more versatility. Featu..
Help to prevent dirt and odour transfer from your shoes, trainers or boots by getting them their own..